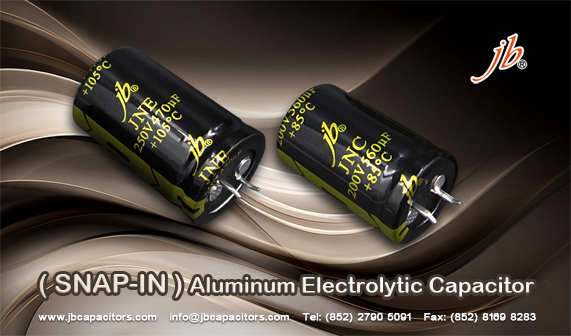 Do you use or buy Snap-in Aluminum Elco Cap? 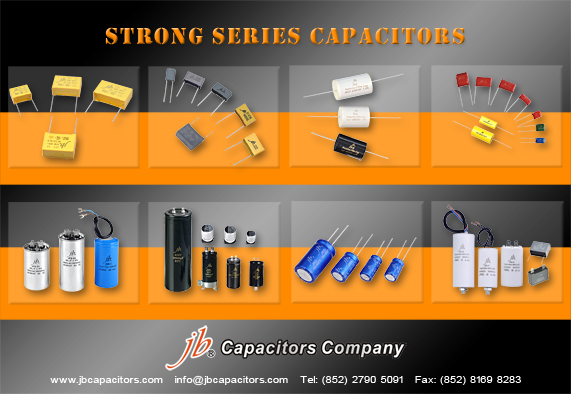 We have below two best series, with excellent quality, low MOQ support, Quick lead time, also widely used in Power supplier, Power meter, lighting, amplifier....applications. Can replacement to: Epcso B41231, Nippon Chemi-con SMQ, Nichicon LS, Panasonic TS-UQ, Samwha HC series, Kendeil K26 sereis, Yageo LH series. Can replacement to: Epcos B41252, B43515, B43525 Chemi-con KMT/KMR, Nichicon GL, AK, AQ, Panasonic HE series, Kendeil K25 series, Yagoe LG series. Do you want to try us? 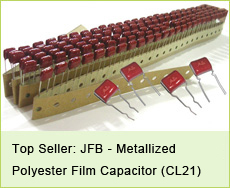 Welcome your inquiry or ask for samples, we'll not let you down. 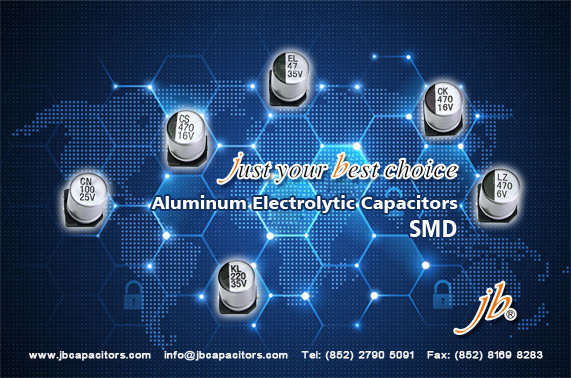 If you have more interested about the details, please jb capacitors offers high quality product of SMD Aluminum Electrolytic Capacitors, with competitive prices and reliable customer service. 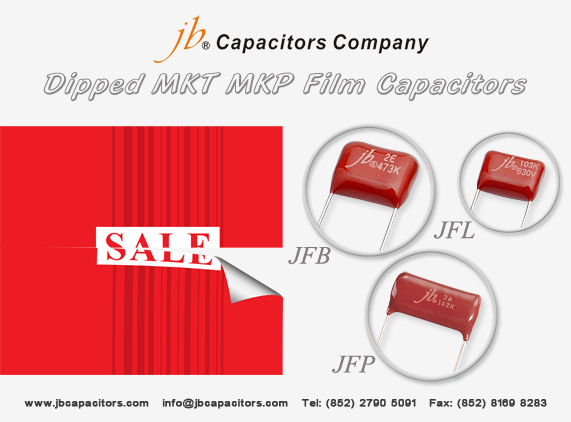 We have very competitive and special offer for SMD type e-caps during Summer, pls. feel free to send us your request. We hope to share with you that now our prices for CBB21, CL21, CBB81 lower than before. 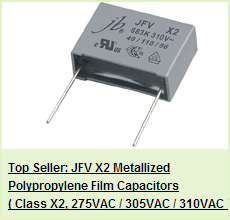 welcome your inquiry to get the new prices from us. and we have very special prices support based on good order list, you will be benefit much if you purchase in June. 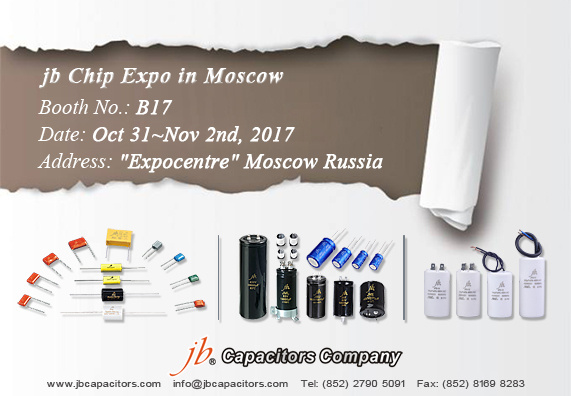 We jb capacitors company hereby sincerely invite you and your company representatives to visit our booth at Chip EXPO in Russia from Oct 31~Nov 2nd, 2017. 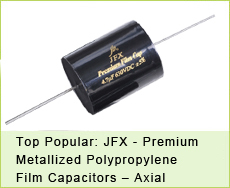 We are leading manufacturer of film capacitors as well as aluminum electrolytic capacitros in China since 1980. It would be great pleasure to meet you at the fair. Thank you.